Ice cream is one of my favorite foods on earth. 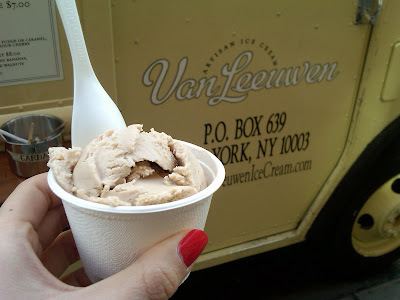 My co-worker and I recently snagged coupons for free scoops of ice cream at the Van Leeuwen truck from www.tenka.com. The truck serves homemade pastries, espresso, coffee and ice cream. Earl Grey (small, regularly $3.95). 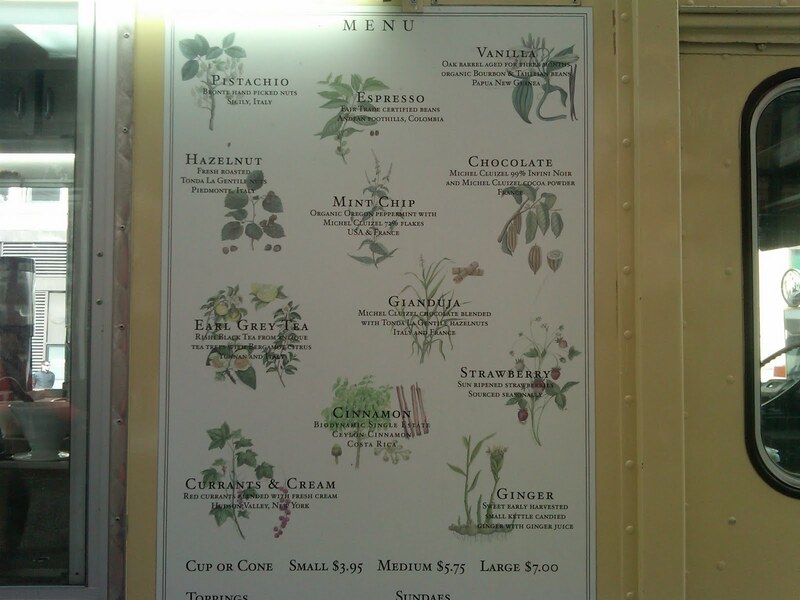 I was deciding between hazelnut and earl grey, but since I'd already had a hazelnut latte from Starbucks, I chose the earl grey. Such a strong flavor and nice and creamy. 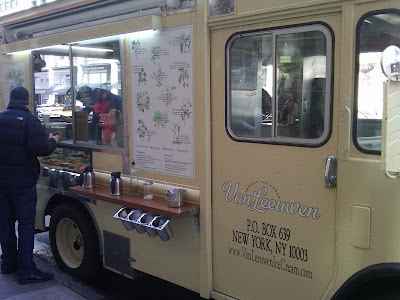 According to the website, Van Leeuwen uses only fresh milk and cream and no preservatives.